NEWARK, N.J. – A former Jersey City police officer today admitted accepting more than $230,000 in corrupt payments, in violation of the Jersey City Municipal Code provisions governing off-duty employment, from employers who were operating worksites around the city, U.S. Attorney Paul J. Fishman announced. Juan Romaniello, 54, of East Hanover, New Jersey, pleaded guilty before U.S. District Judge John Michael Vazquez in Newark federal court to an information charging him with one count of conspiracy to commit fraud and accept corrupt payments and one count of filing a false tax return. He was released on $250,000 unsecured bond. Romaniello was a police officer with the Jersey City Police Department (JCPD) from 1988 to 2014. From 2004 to 2014, his duties included serving as the “pick coordinator” for Jersey City’s North District. In that role, it was his job to assign police officers to off-duty details. Under Jersey City’s Municipal Code, police officers could perform off-duty assignments only when the police officer was not on duty. The code mandated that Jersey City control the hiring and compensation process through which employers hired off-duty police officers. Off-duty police officers are not permitted to receive cash payments from the employer, nor can they accept checks or money orders made payable directly to them. 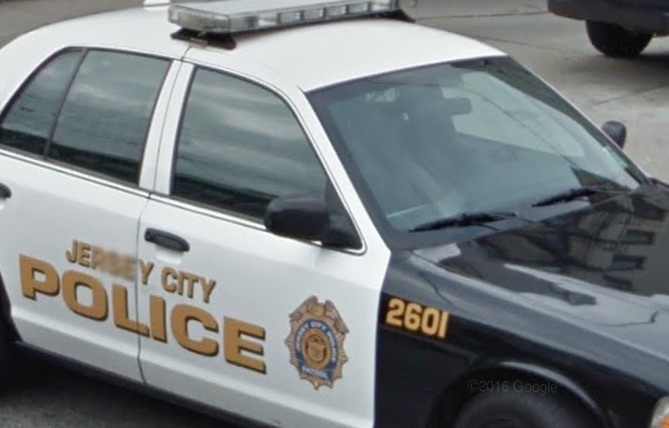 The employers are supposed to pay Jersey City, which pays the off-duty police officer after withholding certain fees, taxes and deductions, including an administrative fee payable to the city. Romaniello agreed with numerous employers to cut Jersey City out of the process to hire and pay off-duty police officers. He permitted employers to operate at worksites without the presence of a police officer when it was required by law for public safety reasons, such as ensuring that obstructions at construction sites did not pose a danger to vehicular or pedestrian traffic. Sometimes Romaniello actually provided the public safety services, but did not notify Jersey City. On most occasions, Romaniello collected payments in cash, money orders and checks payable to him, directly from the employers, depriving Jersey City of money that it would have received otherwise and avoiding reporting requirements to Jersey City and the IRS. The JCPD is cooperating in the investigation. Under terms of the plea agreement, Romaniello will forfeit approximately $297,000, a substantial part of which were monies that he obtained through this corrupt and fraudulent activity and which he kept at his residence. In addition, for tax years 2009 to 2013, Romaniello did not report to the IRS $201,340 of ill-gotten gains. The plea agreement requires him to pay the IRS approximately $90,000 in restitution for unpaid taxes. The count of conspiracy to commit fraud and accept corrupt payments carries a maximum potential penalty of five years in prison; the tax fraud count carries a maximum of three years in prison. Both counts also carry a fine of the greater of $250,000 or twice the gross gain or loss from the offense. Sentencing is scheduled for Jan. 10, 2017. U.S. Attorney Fishman credited special agents of the FBI, under the direction of Special Agent in Charge Timothy Gallagher in Newark; special agents of IRS-Criminal Investigation, under the direction of Special Agent in Charge Jonathan D. Larsen, for the investigation leading to today’s guilty plea. The government is represented by Assistant U.S. Attorneys José R. Almonte and Vikas Khanna of the U.S. Attorney’s Office Special Prosecutions Division and Assistant U.S. Attorney Sarah Devlin of the U.S. Attorney’s Office Asset Forfeiture and Money Laundering Unit.